I heard a great quote the other day. It was so great, in fact, that it made me want to create a little graphic out of it. To me, this was probably one of the most freeing things I have ever heard. It helps remind you that no matter where you are you always possess the ability to be somewhere else (both literally AND figuratively). 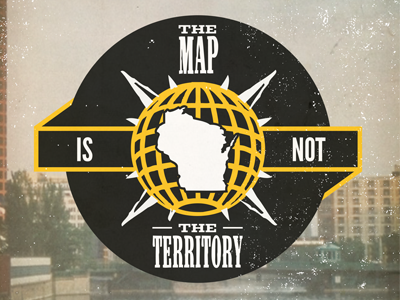 When you think of Wisconsin, what normally comes to your mind? Farmland? Cheese? Beer? All great things, but I do not intend to be judged based on these alone. My work and actions will speak wonders as my map is not my territory.